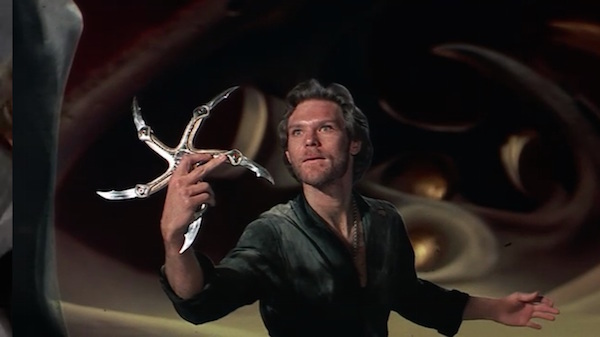 The 1980s saw a boom of fantasy films, and Krull is one of the weirdest. In Krull, a princess is stolen by aliens (?!) on her wedding day, and her prince is given a knife-covered frisbee-boomerang thing so he can quest to rescue her. Along the way, he assembles a ragtag team of loners and misfits, who are mostly played by actors who became famous later (Robbie Coltrane! Liam Neeson!). They encounter flying horses, sinister swamps, vanishing fortresses, giant spiders, a cyclops… anything the filmmakers can think of. Accompanied by a great score from a young James Horner (may he rest in peace) and some truly cool practical special effects and art design, Krull is a mix of everything that was both right and wrong about sword & sorcery films in the 1980s — dazzlingly so. Windy’s Pick of the Week: Them! James Whitmore (Brooks in The Shawshank Redemption) and Edmund Gwynne (Santa Claus!) star in this 50s fable warning of the perils of the atomic age. 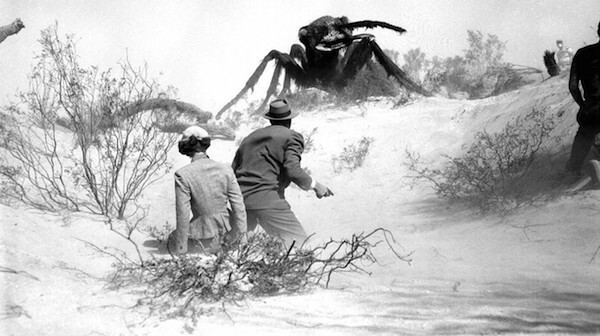 Nuclear testing in the desert has resulted in Giant Mutant Atomic Ants! The army must destroy the nest – but wait! The queen flew away…in the direction of Los Angeles! A fun horror thriller in the classic 50s monster movie canon; if you haven’t seen it, turn out the lights and grab some popcorn.